b. c.1962, London, England. Hunningale, aka Mr Honey Vibes, established his reputation in the lovers rock idiom. He began his musical career playing bass as part of the Vibes Corner Collective, which also featured Barrington Levine, Jimmy Simpson, Ray Simpson and Fitzroy Blake. In 1982, he released his debut as a singer, ‘Slipping Away’/‘Swing And Dine’, which sold respectably on LGR Records. 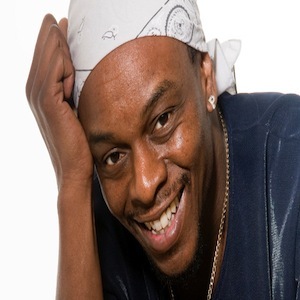 ‘Got To Know You’/‘Money Money’ was then issued on his own Street Vibes label, which he co-founded with long-term collaborator Blake (it is now run in association with Tippa Irie and Crucial Robbie). In 1987, he topped the UK reggae chart with ‘Be My Lady’, regarded by many as his debut. The success of this single and his debut album led to a prolific period that included the singles ‘Falling’, ‘It’s My Turn’, ‘If You Want It’ and ‘Mr Vibes’. The popularity of combination hits from Jamaica inspired Peter Hunningale and Tippa Irie to team up for ‘Raggamuffin Girl’ in 1989, which went straight to number 1 in the UK reggae charts, and was voted Best British Reggae Record by Echoes newspaper at the close of the year; the single led to a long and fruitful partnership with Irie. With this success behind them, the duo embarked on two album collaborations – The New Decade for Island Records and Done Cook And Currie for Rebel MC’s Tribal Base label. The former collection was produced by Hunningale himself and featured two songs popular on the UK sound system circuit, ‘Shocking Out’ and ‘Dibi Dibi’. He also produced and played all the instruments on Done Cook And Currie, which produced another major domestic reggae hit with ‘Inner City’. His second solo album, Mr Vibes, followed in the same year. Hunningale’s next collaboration with Irie came in 1993, this time a single, ‘Shouting For The Gunners’, to celebrate their mutual fondness for the London football club Arsenal. The following year’s Mr Government was a more roots-flavoured offering, released on the Mad Professor’s Ariwa Sounds label, after which Hunningale worked with Crucial Robbie once more on a version of Desmond Dekker’s ‘007’. Throughout Peter Hunningale’s career awards have been bestowed upon him, including Best Newcomer in 1987, Best Reggae Vocalist Of The Year in 1989 and 1991 and in the mid-90s he made a rare television appearance after winning additional accolades in the Black Music Association Awards. Hunningale also demonstrated his versatility when he performed in the reggae musical Johnny Dollar and secured his independence with the inauguration of the Street Vibes label. As well as recording many hits in the UK, Hunningale also worked with legendary Jamaican producer Gussie Clarke, which resulted in ‘Love Like This’. Peter Hunningale’s outstanding achievements continued in 1995 when Lloyd ‘Musclehead’ Francis’ production of his hit ‘Baby Please’ knocked his Gussie P production of ‘Perfect Lady’ from the number 1 position in the reggae chart. The same year, Hunningale recorded a version of ‘Declaration Of Rights’ in a reunion with Tippa Irie, which featured on his Nah Give Up compilation, alongside such reggae chart hits as ‘Trust Me’ and ‘Sorry’. Hunningale displayed his honeyed voice on songs including ‘Out In The Country’, ‘Candy’, ‘Crazy Love’, ‘How Could I Leave’ and ‘Love Is Here To Stay’. A series of popular duets with Dennis Brown, Lloyd Brown and Janet Lee Davis, performing ‘Cupid’, ‘Lonely Girl’ and ‘We Can Work It Out’, respectively, all met with approval. His distinguished career has also seen him work with artists such as the Original Pioneers, Maxi Priest (writing the title track to his Best Of Me hit album), Chosen Few, Trevor Hartley, Double Trouble, Tinga Stewart and B.B. Seaton, as well as many others, either as musician, producer or writer. Late in 1996 Hunningale performed as part of the combination Passion, which also included Glamma Kid and Nerious Joseph, among others. ‘Share Your Love’, their version of Teddy Riley’s R&B hit, ‘No Diggity’, spent over eight weeks at number 1 on the reggae chart.